Before the launch of next big device of the year from Apple, there are many rumors and leaks about the device and no of leaks and rumors are increasing with every passing days. Continuing the trend, the veracity of the unidentified source's claims cannot yet be substantiated, but Apple devotees claim they overlap with previous rumors. The source in question claims to be an employee of Foxconn, the Taiwanese electronics manufacturer with a long-running history with Apple. The source blabs about many new developments: augmented reality glasses, new Macbooks and updated on Siri, to name a few. But all bombshells pale in comparison to the 15 revelations made about the long-anticipated iPhone 8. 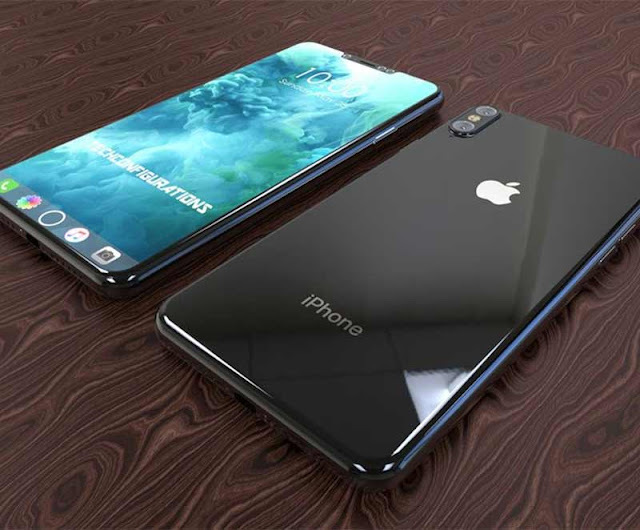 Below are the points which suggest that iPhone 8 is going to be a game changer for Apple. The new iPhone is called the "iPhone X" (but it's still unclear if this is a code name). It will look like the middle phone in the main photo above. There is a new dual rear camera with vertical alignment. The front bezel will be thinner on the Y-axis. Test units have Touch ID under the glass "but performance and yield rates were not good." No version is planned with a rear fingerprint scanner. AuthenTech's long-standing Touch ID capacitive touch module has been replaced. There will be Facial Detection and a Retina Scanner. And plural: "front facing camera modules." RAM remains at 3GB like the iPhone 7 Plus. The aluminum unibody is replaced by "composite glass." There's wireless charging via a rear panel. It will again be "water resistant" (no word if the rating has increased). There is no USB-C, Apple is sticking with Lightning.